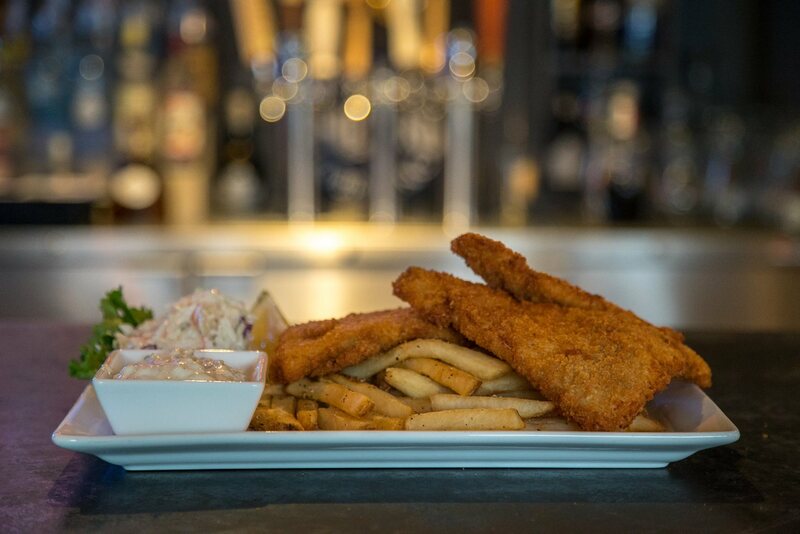 Our Menu includes items such as Burgers, New England Style Haddock and Salads. 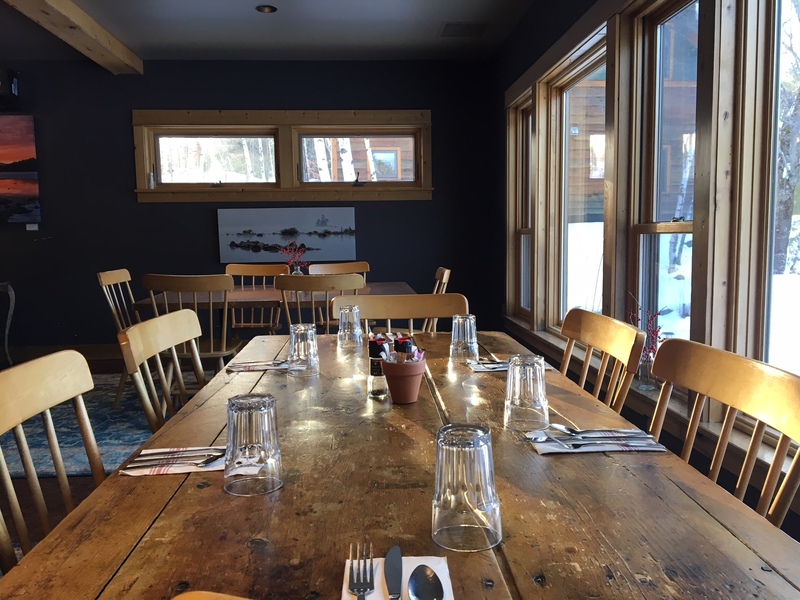 The restaurant is usually open for breakfast, lunch and dinner, has a busy bar and offers the very popular Carrabassett Valley Coffee. Children can play on the lawn while you order and wait for the food to come. 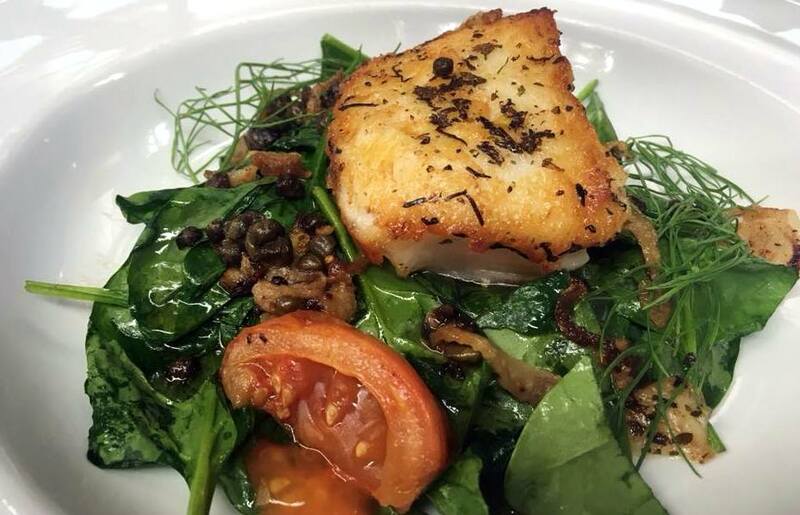 Head Chef Chelse Cram is inspired by fresh ingredients, local and seasonally available produce, interesting color and flavor combinations and textures that please the palette. Inspiration for seasonings and spices come from across the globe. 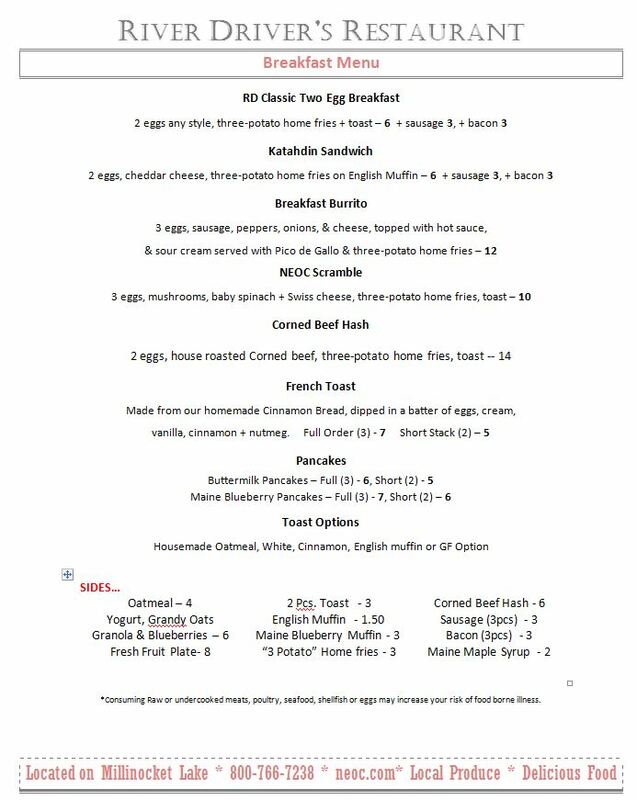 Open Year Round for dinner and seasonally for Breakfast and Lunch. 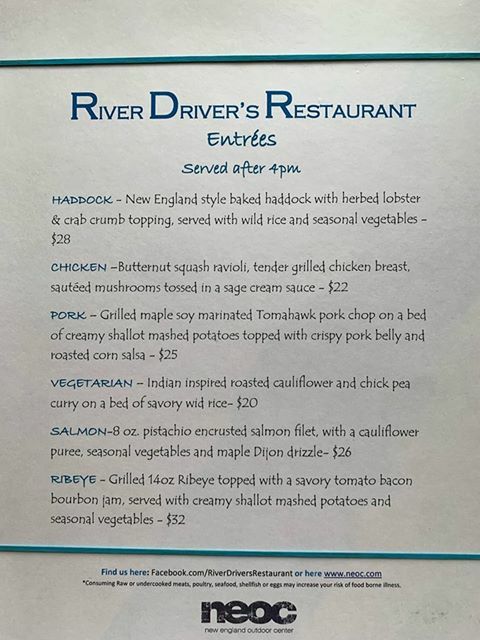 The River Driver's Restaurant is an award winning restaurant on Millinocket Lake overlooking Katahdin, Maine's highest mountain. 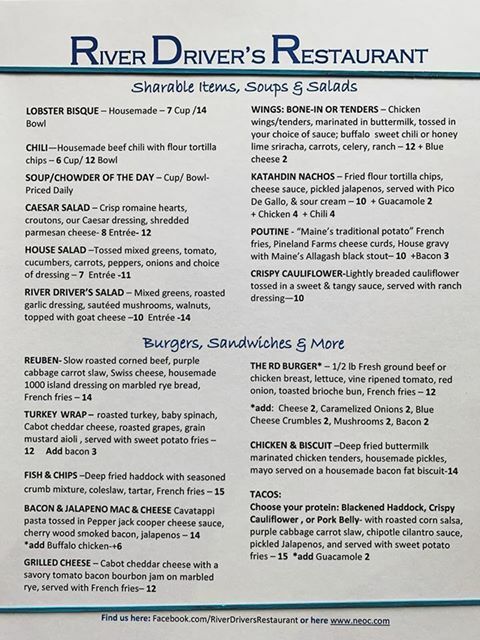 The restaurant is family friendly and offers a diverse menu prepared by our chefs in-house and featuring quality American fare highlighted by seasonal, local, and fresh ingredients. The name River Drivers comes from the old days when logs were transported down the river by “river drivers,” who were the men who guided the logs along the waterways. Our whitewater rafting adventures have replaced logging runs and river drives and more upscale fare has replaced the rustic stews that were once made in the logging camps of Maine. We host weddings, meetings and events year round and we have lodging right on site overlooking Millinocket Lake. Please contact us for more information.